Thanks to everyone who has donated so far. Our Art Happens crowdfunding campaign is now 91% funded! By donating £25, you could get your hands on a one-of-a-kind tote bag designed by artist Skeleton Cardboard. Donate £45 and fan yourself in style this summer with a unique folding fan printed with a design by French street artist Nosbe. For a £200 donation, enjoy a brilliant reward package comprising of a VIP experience at The Fan Museum and street fan print courtesy of Butch Attai. 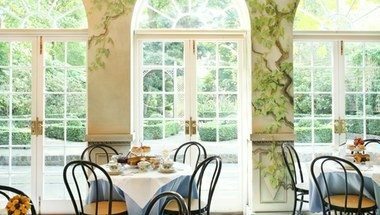 Luxuriate in our beautiful Orangery with a champagne afternoon tea for two. Featuring intricate murals painted by theatrical designer Jane Barraclough, the Orangery is a space like no other. In addition to enjoying afternoon tea, you and your guest will get a behind-the-scenes tour of the exhibition. 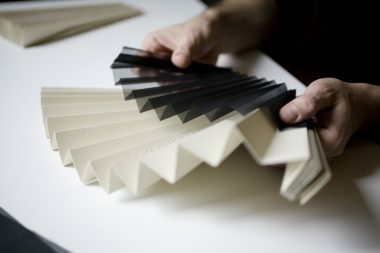 On this exclusive tour, Jacob Moss, curator of The Fan Museum, will bring to life the Street Fans project and provide insights into some of the fans exhibited. This will also be an opportunity to meet some of the street artists involved and ask questions about their fan designs and role in the project. Donors will also receive a limited-edition framed fan print by London-based street artist Butch Attai. Best known for his paintings of houses on stilts, Attai’s colourful geometric impressions can be found on shutters and scaffolding around the city, injecting colour and form into the urban environment. Please continue to support the campaign and don’t forget to spread the word. Together we can make this important project become a reality.